Why Do I Have Empty SmartLoop Time Slots? If you're seeing empty SmartLoop time slots, there are a few potential causes. We'll go through them here! Have you noticed empty SmartLoop slots in your schedule? Maybe they seem to increase in number the further into the future you look? If so, not to worry! 1. 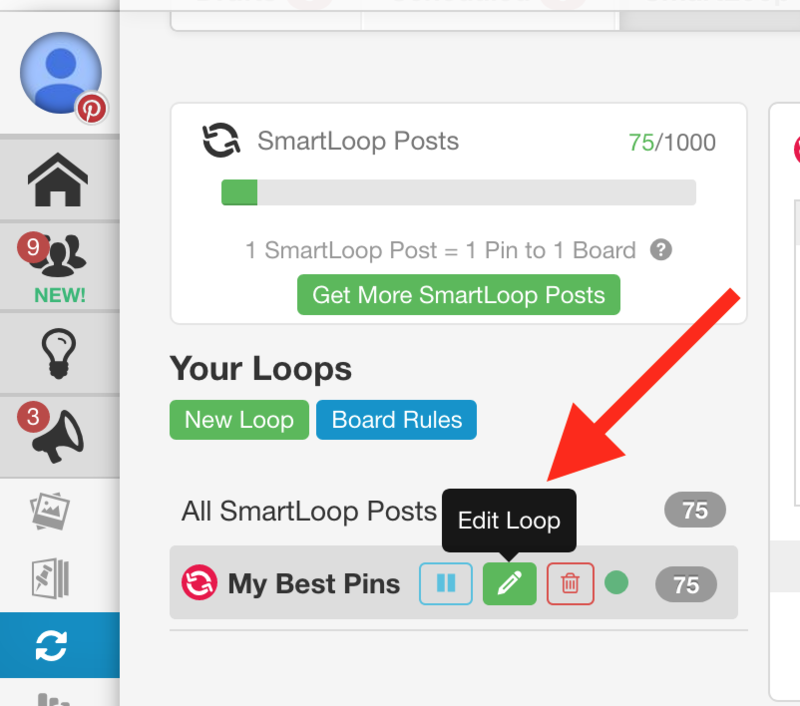 Board Rules: If you have told SmartLoop to, for example, only Pin to the “Animals” Group Board once per day, but you have eight Loops that Pin to that Board, we’ll only ever sent out ONE PIN per day to that Board. Board rules apply across all SmartLoops. 2. Take a look at how many Pins are in your Loop. How many Boards? That’s your total number of SmartLoop Posts. 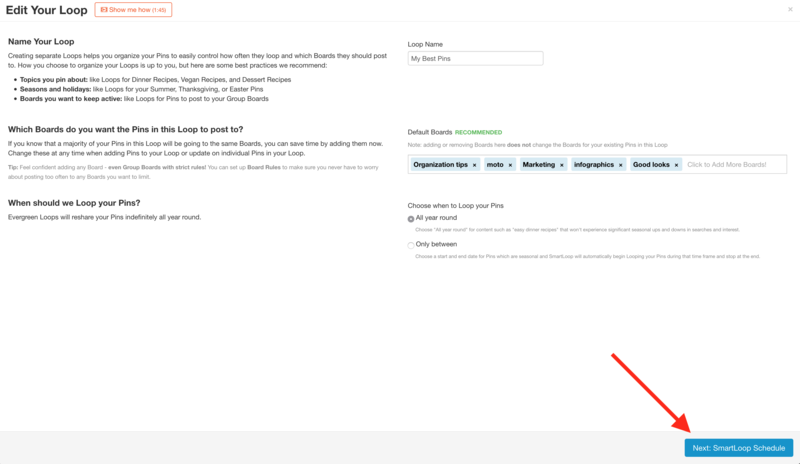 Now go to your SmartLoop Schedule by choosing your Loop and clicking Edit Loop then Next: SmartLoop Schedule. a) If your “Times per day to Pin from this Loop” are high in relation to the total number of Posts in your Loop, you’ll go through all your Pins pretty quickly and have empty time slots. b) If your “Time to wait before publishing the same Pin to a different Board” is then fairly long, you’ll have quite a few days with empty slots. c) Likewise, if your “Time to loop through all Pins” is extended, once all your Posts go out, your time slots will be empty until that time period has passed. Let’s say this Loop has 16 Posts - 4 Pins to 4 Boards. If your setup were as shown above, your first set of Pins will go out to their first Boards over the course of 14 days. Then that SmartLoop queue will have only empty slots for the next 9 days (because of your “Time to wait”) setting. On days 24-38 , your Pins will go out to 4 more Boards. This repeats two times more. And because your Loop repeats every 90 days, it will just keep going. Again, empty SmartLoop time slots really just indicate that SmartLoop is following the rules you have set up, so it's not necessarily a bad thing!